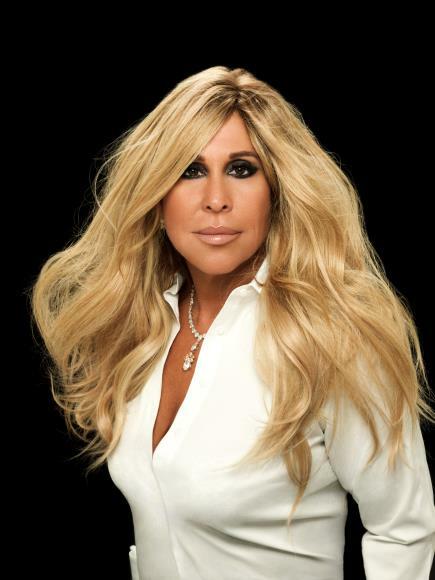 Lynn Tilton is the Founder and CEO of Patriarch Partners LLC, an investment firm with holdings in more than 75 companies across 14 industry sectors. Ms. Tilton is passionate about saving American jobs by saving American companies. Since 2000, through affiliated investment funds, Tilton has invested in and restructured 243 companies with combined revenues in excess of $100 billion, representing more than 675,000 jobs. Current investments include Dura Automotive, Spiegel Catalogs, MD Helicopters, Rand McNally, and Stila Cosmetics making Tilton’s platform the largest woman-owned business in the country. In 2010, Automotive News named her one of 100 Leading Women in the automotive industry, and in 2011, Ms. Tilton was inducted in the Living Legends of Aviation Hall of Fame when she was named Entrepreneur of the Year, the first female in history to receive such distinction. She was also honored with the Luminary Award presented by Womensphere, an award given to “the woman whose leadership, innovation, and personal commitment has illuminated and inspired the lives of millions, and positively transformed the world.” In 2012, in her capacity as the CEO of Dura Automotive, The Women’s Business Enterprise Council – Great Lakes presented Ms. Tilton with the Role Model & Mentor of the Year Award. Ms. Tilton was the subject of a Barbara Walters’ 20/20 interview discussing her mission of saving American jobs, and a special Made in America segment with Diane Sawyer on ABC’s World News Tonight. Most recently, she received the 12th Annual Women Who Care award presented by The United Cerebral Palsy Foundation, and received top honors at XPrize’s Visioneering 2013 event for conceiving ‘X2-The Mother of All Prizes’, a prize created by Tilton that enhances the purse for any XPrize team that is comprised of at least 50% women. Additionally, she helped formulate the incentivized XPrize to improve cognitive function in the battle against Alzheimer’s disease. Under Ms. Tilton's leadership, Patriarch has positioned itself as a proactive partner to companies during periods of operational and economic transformation. Patriarch provides liquidity, and strategic support to its management teams allowing them to rebuild their companies to create long-term value. Ms. Tilton earned a B.A. in American Studies from Yale University and an MBA in Finance from Columbia University.